When clothes do matter! Cinderella is the ‘It girl’ of the season. Even without a mother, there is the godmother to provide a night out on the town. The wicked sisters may lack the talent, taste and kindness of their rival sister but their comic timing is perfect. The costumes are a remarkable stroke of insight. They communicate a large hunk of the tale. Ballet has no voice; the palette is made up of dance, drama, costume, score and set. The show is catchy with a surrealistic bite, re-told with a modern edge. No one has moves like the Prince (Ty King Wall). The magnetic duo are drawn together when Cinderella (Lana Jones) ‘steals the show’ and sets the tone at the ball. The twisted sisters are deliciously offbeat. There is nothing like a dance story told by a dance company, frock them up and send them to a Ball. This is why you should go! 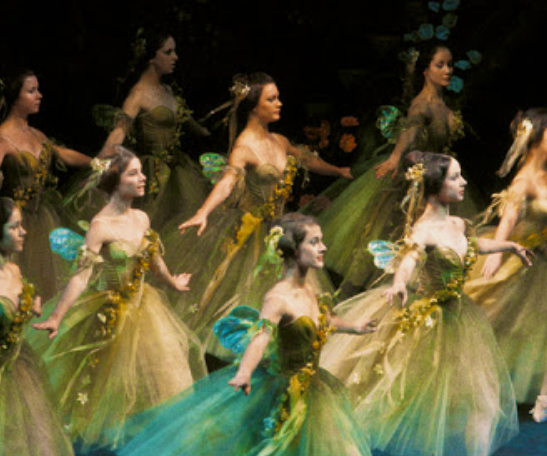 The dancing and Alexei Ratmansky’s choreography is a visual delight. Cinderella is an interesting fairytale to re-visit; it carries life lessons in a purse of simple context. Jealousy is unable to suppress the hopeful soul. When humans fail, the stars align to aid her journey and her destiny. As the full moon hangs heavy over Melbourne skies, another moon and another season, the ‘Midsummer Night’, takes flight in the deep chambers of the Art Centre, on the opening night of The Dream. Enter into the enchanted forest where mischief casts spells on the unaware and leads them into late night folly, only to awake with a hangover of regret. Does it sound familiar? Of course it does. One can always rely on Shakespeare to understand the human heart. One does not need to read the play, to love The Dream. The magical blend of music and ballet lead the audience through the drama. The audience chuckled spontaneously through the performance, it’s bewitching and it’s funny. They cheered and applauded. The visual beauty of the set and performance is unworldly; it’s easy for us to be tripped into its spell. The music and the dance are fused into one. The poetry of our slumber awakens to newer world, an alternative, and a deviation from the probable path into a fantastic alternative that leads us safely back, to our destination. Ballet of this calibre is a sublime experience. Puck, (Chengwu Guo) the mischievous fairy, is a tad liberal with his love potions, which leads to squabbles and confrontations. His dance is super-imposed with thrill and adventure whereas the ‘labourers’ trod a heavy step. It’s the unique combination of dance that binds multiple styles and creates a visual texture to the play that is echoed by the score. Kevin Jackson is mesmerising as Oberon. Chief Conductor Nicolette Fraillon leads the orchestra gently into the play with the strings and piano opening the drama, she builds the momentum with the wind instruments that tantalise the audience into a heightened state of expectation. David Walkers set is magnificent, enriched by the lighting techniques of John B Read. It’s a sensory feast. The evening begins with the abstract dance of Symphonic Variations and Monotones 11, which showcases the talent of Frederick Ashton and the skill and grace of the dancers. This clears the pallet to make way for the rich, full-bodied production of the Dream.